We decide to continue our journey to Mangunan Fruit Farm. The espectation when we hear about Mangunan Fruit Farm was the place that has many fruit farm, but the main spot of that place is the peak of itself. The location is near Pinus Forrest, only ten minutes from it. The entry ticket + parking fee is about ten thousand rupiah. The Mangunan Fruit Farm is located in highland but, suprisingly we find the lake in that place. The peak of Mangunan Fruit Farm is different from Keraton Cliff. 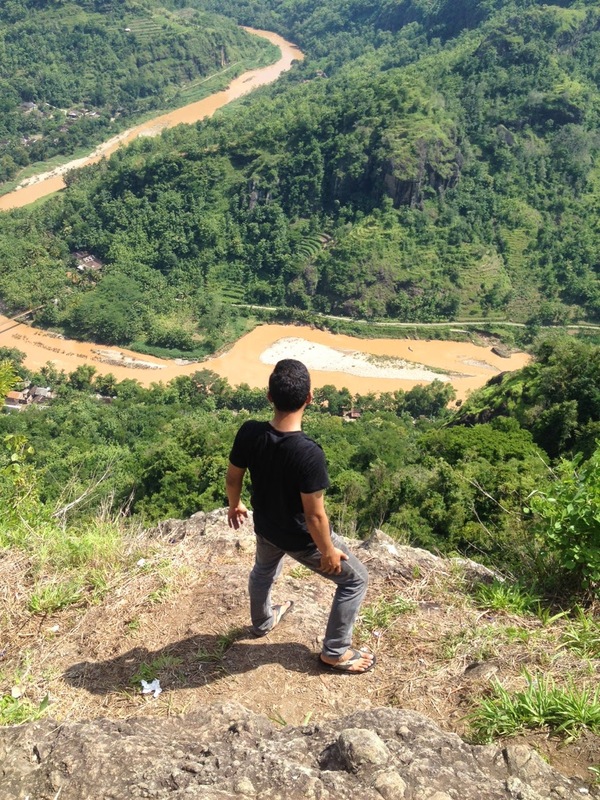 The weather is hot, maybe because the heights of the peak is lower that Keraton Cliff or Jogja region is hot indeed. After we satisfied, we go to Bagus home in Jogja City to take a rest. 0 Response to "Mangunan Fruit Farm"